Interactive Calendar is developed to simplify your time management. You can use it to create various appointments, plan meetings and other assignments. Interactive Calendar displays information in two different ways. The calendar is completely interactive and extremely intuitive. Double-clicking any of its cells will bring up a new task creation window or a task management window if there are any tasks already scheduled on that day. Please see the "Desktop Calendar" topic for more details. Single click the navigation arrows on the calendar header to move months or years. In this window you can add new or edit existing entries, preview description, search or print your information etc. Please see the "Main window" topic for more details. For easy access to the program, at start Interactive Calendar creates an icon in system tray near the Windows system clock. This icon displays the current date. 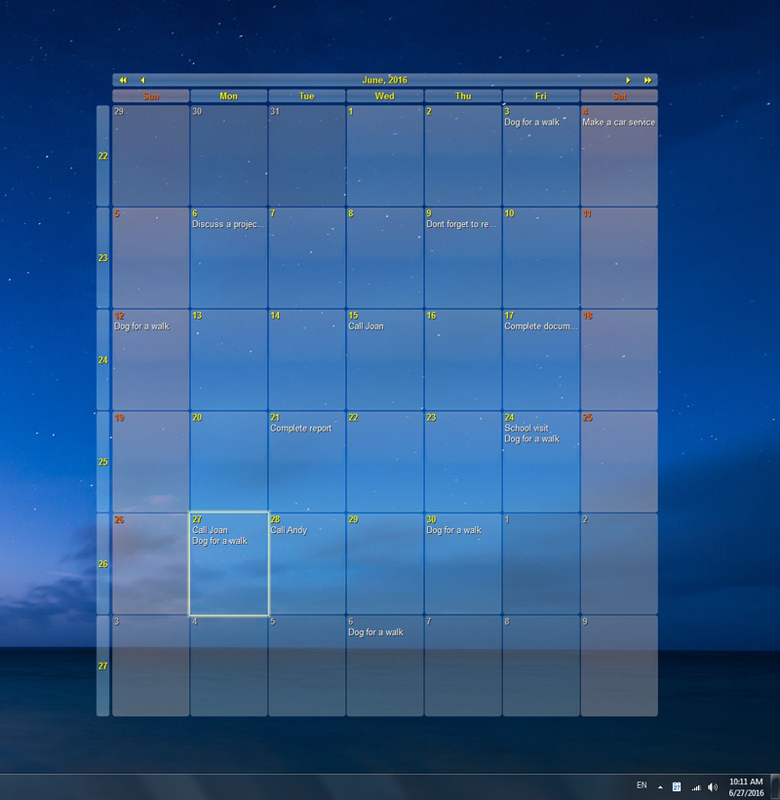 ·Open Interactive Calendar - opens the main window of the application, just as the left mouse button click does. ·Options - the program settings. ·Go to Today - return calendar on the desktop to the current month. 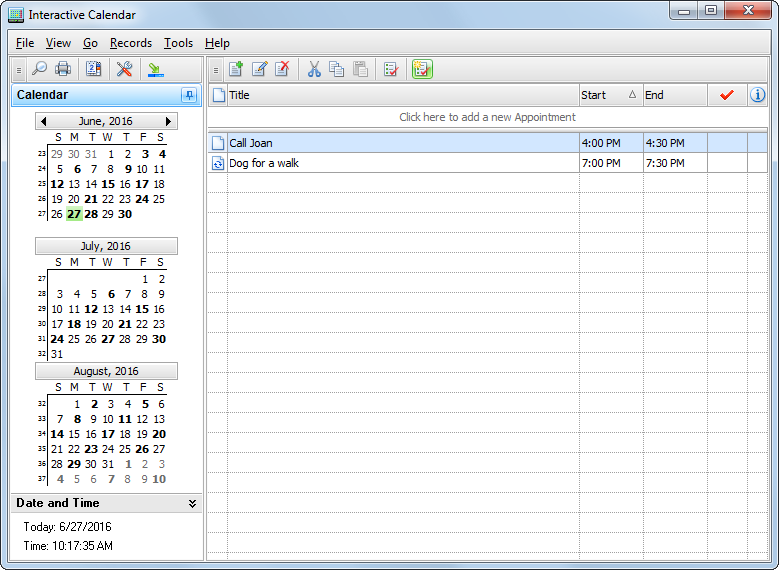 ·Go to Date - click this item to move desktop calendar to any date. ·Exit - exit from the program (is similar to the command "File - Exit" of the main menu).